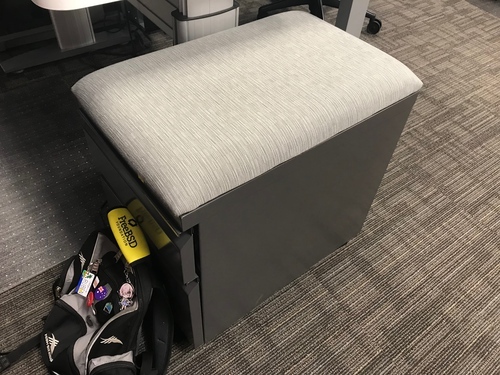 I was sitting at my temporary desk in the company’s San Francisco office, like a gentleman, when I thought: why hasn’t someone invented a filing cabinet chair yet? Then I looked across, and realised someone did. I can confirm it’s comfortable, and what it lacks in back support it amply makes up for in its document filing abilities.